Perhaps the most obvious health benefit of dog ownership is an increase in physical activity. Experts recommend that adults get about two and a half hours of exercise each week, with dog owners much more likely to reach that goal. This is especially true for people with larger dogs and energetic breeds such as Border Collies. Because dog walking is often seen as a form of recreation or personal responsibility rather than exercise, people are more likely to do it on a regular basis. Regular physical activity keeps us mobile for longer, helps us to lose weight, and improves our flexibility. People who own dogs have been found to have lower blood pressure and better cardiovascular health, and what's more, they also have a better survival rate when a heart attack does occur. In fact, owning a dog has even been linked to having a longer life, especially for people who live by themselves. According to recent research by Uppsala University in Sweden, published in Scientific Reports, people who lived alone with a dog had a 33 percent reduced risk of death, and an 11 percent reduced risk of cardiovascular disease, than people who lived alone without a dog. 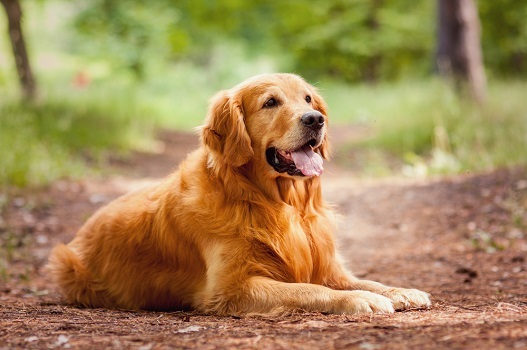 While the study didn't explain the reasons for this massive difference, it could be linked to increased physical activity and/or changes in the dog owner’s microbiome. Owning a dog has been linked to decreased allergies and asthma in children, with other immune-boosting benefits noted for adults as well. The development of a stronger immune system can be the result of a more robust microbiome due to greater contact with our ancestral bacterial allies. Pet ownership is one of the best ways to expose yourself to micro-organisms, with dogs raising the levels of 56 different classes of bacterial species in the indoor environment. Dog ownership has also been linked to a range of psychological benefits, including decreased stress levels, reduced depression, and a greater sense of meaning and purpose. Spending time with your dog can increase levels of serotonin and dopamine, key neurotransmitters which help people feel calm and provide a sense of connection. Therapy dogs are already used to help people treat depression, with positive benefits found for the disabled, the isolated, and those suffering from HIV. The emotional and social benefits of having a dog are open to us all, however, with dog ownership also found to improve people's social lives and allow them to make friends more easily.